The world watched as Ariana Grande and Pete Davidson dominated entertaiment news with their quickly established and very public relationship. The two celebrities seemed to have moved on from their most recent relationships but their ex’s were still coping with the heartbreak. Davidson’s ex, Cazzie David, and Grande’s ex, Mac Miller, developed a bond as they both dealt with the aftermath of breakup. It has been reported that this unlikely duo became quickly became friends and remained close up until Miller’s tragic passing. Soon after Mac Miller and Cazzie David’s relationships ended, the two celebrities tried to cope with the heartbreak on their own. In May 2018, David and Miller both became single after being in two year relationships. 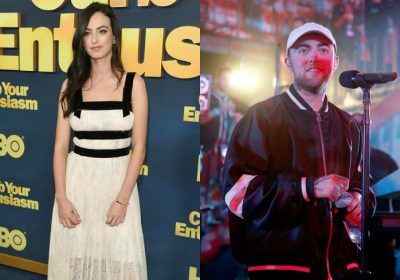 Mac Miller dated the pop songstress, Ariana Grande while Cazzie David dated Saturday Night Live comedian Pete Davidson. As Miller and David tried to keep their pain off of social media and deal with the pain on their own, they decided to help each other get through the aftermath of their breakups. The world could easily see how much Mac Miller was in love with Ariana Grande. From August 2016 to May 2018, Mac Miller and Ariana Grande spent every waking moment together and their relationship was more than just two people dating. Fans could easily see that Miller and Grande were more than just boyfriend and girlfriend, they were best friends. Cazzie David began dating Pete Davidson in 2016 and was known for always sharing cute photos of them to Instagram. After their relationships came to an end, Mac Miller and Cazzie David remained relatively quiet about their splits. David never public announced that she and Davidson had called it quits but Mac Miller touched upon his breakup briefly. While being interviewed at Marie Claire Australia, Miller spoke about his split from Ariana Grande. On September 7, 2018, Mac Miller died of a drug overdose while in his home. Fans around the world were left shocked and close family and friends of the rapper couldn’t believe he was gone. Even though Cazzie David never met Mac Miller in person, she made sure to send her condolences to his family shortly after hearing the news of his death. David soon became close with Mac Miller’s mother, Karen Meyers, and the two formed a special friendship just like she did with Mac Miller. Cazzie David recently accompanied Karen Meyers to the 2019 Grammy Awards on Mac Miller’s behalf.